Jakarta – No Indonesian Citizen is reported to have become a victim of the Haiyan typhoon that hit most of the Philippine archipelago on Friday. According to information received from Siti Sofia, the Director of Media and Information of the Ministry of Foreign Affairs, most Indonesian citizens living in the Philippines reside in the Metro Manila area, so they have not been affected considerably. 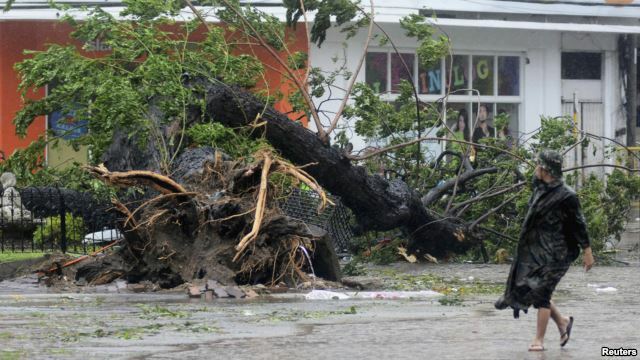 “There are 30 Indonesian students residing in the Cebu area, which is one of the areas that has been severely affected by the storm,” Sofia revealed in Jakarta on Tuesday. “The fourteen students are in a safe condition and are still being monitored by the Indonesian Embassy in Manila,” said Sofia. The Ministry of Foreign Affairs’ data pegged the number of Indonesian citizens living in the Philippines at 6,451. The Haiyan typhoon has resulted in the death of an estimated 10,000 people and hundreds have been rendered homeless. Rupert Murdoch has labelled victims of phone hacking “scumbag celebrities” after they met the British Prime Minister, David Cameron, during the Conservative party conference. Mr Murdoch took to Twitter to criticise the talks in Birmingham between Mr Cameron and members of the Hacked Off campaign, the singer Charlotte Church, actor Hugh Grant and a former TV presenter, Jacqui Hames. The comments sparked a storm of disapproval, with Mr Murdoch repeatedly asked to apologise for the remarks and remove the tweets. 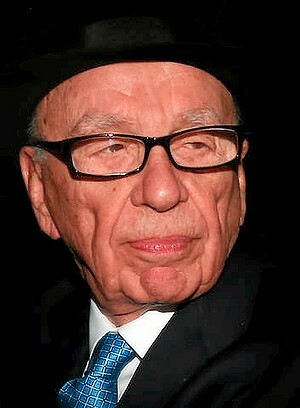 Hames hit back at the head of News Corporation, tweeting: “Never let the facts get in the way of a good story eh Rupert. Happy to discuss our concerns with you sometime?” She added: “I’ve been called worse, but admittedly not by CEO of large multinational corp.” Mr Murdoch replied to Hames: “Not referring to these ladies”. Jakarta-Detasemen Khusus (Densus) 88 Antiteror Mabes Polri, Tuesday (25 / 1) yesterday, arrested six suspected terrorists. They were arrested in the village of Waru District Police Tray area Sukoharjo, Central Java. ”One of the suspects named Roki Apres Giyanto aka Antok (28) from Klaten. Antok arrests made at 10:00 am in Hamlet New Tegal RT 03 RW 07, Sukoharjo,”said Chief of Public Information (Kabag Penum) Polri Kombes Pol. Boy Rafli Amar. Antok everyday work as a parking in the area Purwosari, Surakarta, near Solo Phone Centre. Antok is a former member of the group allegedly Hisbah one brain of terror in Sleman, Klaten, and Sukoharjo,”said Boy. Kabag Penum explained that the evidence found is a series of explosives from the scene if a series of five bombs. But police did not comment on the possibility Antok is an escape training camp in Aceh. Roki Apres Sugianto arrested at his home. ”When was he with his wife, Evi, and her three children,”said Chairman of the local RT, Margono. Roki Apres Sugianto day-to-day work as a handyman at the local park area Purwosari Solo Solo Center. Team Detachment 88 when arrested suspects were also seized three bags in which there is a series of wires and batteries. ”Roki Apres Sugianto now has taken Detachment 88, but his wife, Evi, and their three children did not join the officer was taken,”he said. Terrorist suspects living in the area just four months ago moved from Hamlet Cangakan, Gatak, Sukoharjo. This is based on identification cards (KTP), which was reported in RT new dwellings. Roki Apres Sugianto before staying at the rented house had indeed been reported in RT, but after that also never get along with neighbors and have never participated in meetings that are conducted RT. ”Roki Apres Sugianto yang suka memakai celana panjang di atas mata kaki itu tampak pendiam dan terkesan tertutup,” katanya. PVMBG Request “Lanud Abdurahman Saleh” Evaluation of air clarity. Probolinggo – Center for Volcanology and Geological Hazard Mitigation (PVMBG) asked the Lanud Abdulracman Saleh Malang evaluate the clarity of air due to smoke from Mount Bromo which leads to Malang. “We ask the airport, to evaluate the clarity of the air so as not to disrupt the flight,” Head of the Centre for Volcanology and Geological Hazard Mitigation, Gede Suantika, when found in the Post Monitor Mount Bromo, Ngadisari, Sukapura, Probolinggo. According to him, a thick cloud of black smoke that have occurred since the date of November 26 to 28, leading to exactly the southwest of Malang Regency. Even the information obtained PVMBG since Sunday morning, wisps of smoke had entered the Mount Bromo Abdurahman Saleh Airport in Malang. “We ask the competent authorities relating to analyze air cleanliness and air content for flight safety,” he said. If not anticipated immediately, he added, it is feared could lead to things that are not desirable. Because the homes of residents in Malang Regency is adjacent to Mount Bromo has been advised to wear masks. Gede also explained that on Sunday morning there is a tendency pressure thick cloud of black smoke rising. Up at 00.00 am – 06.00 am happened volcanic earthquake of 8 times with an amplitude up 30-40 millimeters. “Activity increases until the current eruption. Hopefully this continues to happen so quickly toward stability,” he said. Once set Cautions on November 23, 2010, finally erupting Mount Bromo in Probolinggo, on Friday afternoon (26/11). It’s just a spewing eruption of smoke and ash as high as 1000 m are minor. PROBOLINGGO-small eruption occurred at Mount Bromo at around 17:40. The eruption caused a gray-black smoke with a height of a column of smoke about 500 meters. “Before the eruption, an earthquake tremor the meeting with an amplitude of about 15 millimeters. Because tremor enlarged, volcanic earthquake was not recorded,” said Chairman of the Emergency Response Team Mount Bromo, Gde Suantika. The eruption was only around in the crater of Mount Bromo. Therefore, residents do not need to be evacuated. According Gde, this eruption may be followed by a larger eruption.